The house mouse is a common pest and it can be found around your property or in your home. When you have problems with mice around your home, you should not ignore it and hope that the situation resolves itself. Mice may carry around diseases that can be harmful to your family. These diseases include hantavirus, lymptocystic meningitis, leptospirosis, plague, rat bite fever and salmonella. They will enter your home when they are looking for food or a warm place where they can raise their children. 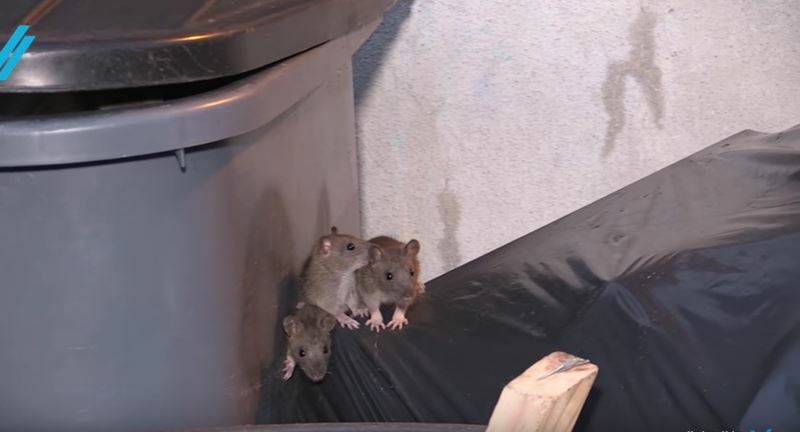 One place you might notice mice is in your garbage. They go into the garbage to get water and food. If you have this problem, you have to reevaluate how you handle and store your garbage. Garbage should be removed from the house frequently and kept in cans that have secured lids. Do not allow garbage or debris to accumulate in your home or on your property. If mice do not have easy access to the garbage, they will move on to other food sources. You have to make sure that the mouse does not have a way to come into your home. Any small opening can allow the mouse to enter your home. You have to make sure that you do not have any cracks or holes in the walls, vents or windows. The connection to the sewer should also have a one-way rodent exclusion so that mice do not come through it. People may try different ways to get rid of the mice or to discourage them from entering into the garbage can. They use repellents, sensor lights, and the noise machines, but these may not be completely effective. You might want to try keeping the garbage in the garage until collection day and using bungee cords on the lids. Recycling or composting can lead to less trash in the household. You should not use bleach as an option to eradicate mice because the toxins found in bleach are harmful for the environment. If all else fails, you can call a local pest control service to handle the problem for you.